TowerPinkster understands the essentials of creating a patient-centered, innovative healthcare facility. By working with you to balance all of the critical elements into each space, we enhance the overall patient and visitor experience. From master plans and infrastructure upgrades to new patient care spaces and assisted living facilities, our team creates sustainable solutions, healthy environments, and spaces that promote healing. Mercy Health desired to add two new Medical Office Buildings (MOB) to provide enhanced patient care. North Muskegon is a consolidation of three existing practices into a single, more efficient location. Mercy also expanded into the Hudsonville market in order to provide their award-winning patient care in a new Jamestown Township facility. 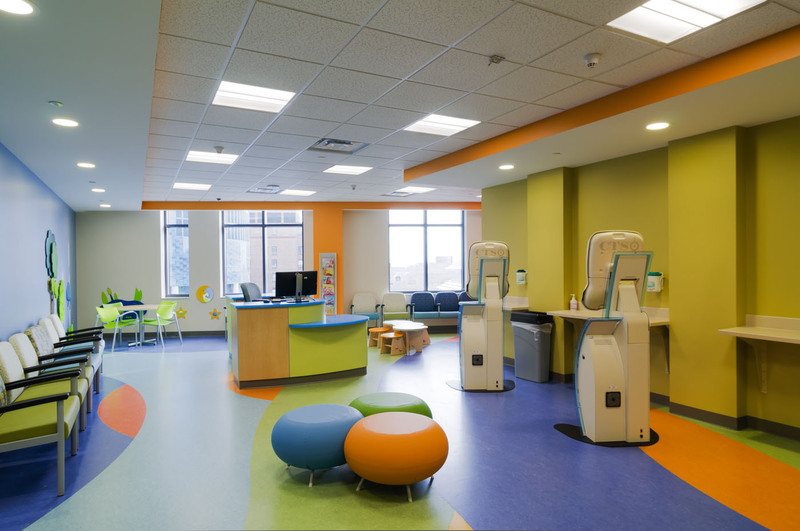 TowerPinkster partnered with FKP Architects to consolidate pediatric services. Our team implemented LEAN design methodologies to help the clinic maintain flexible day-to-day operations and provide efficient and effective clinical care. 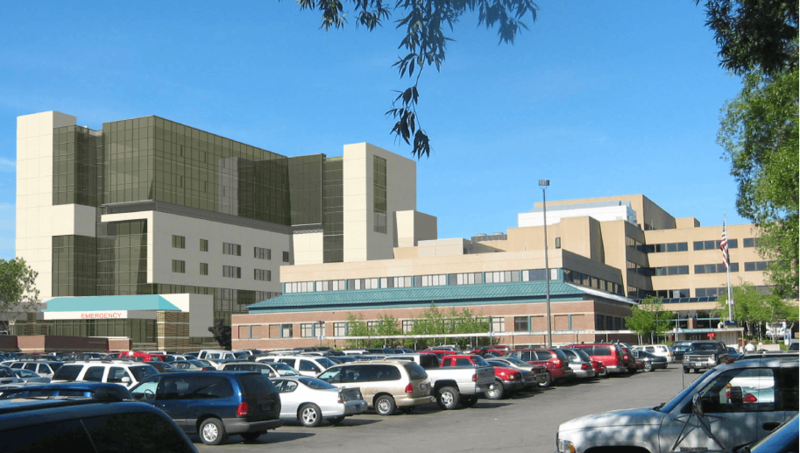 Spectrum Health desired to expand their services in the Rockford, Michigan area. A new Ambulatory Care facility at the intersection of US-131 and 10 Mile Road now offers access to enhanced patient care in northern Kent County, extending Spectrum’s team-based clinic care model for outpatient services. Family Health Center, Inc. was in need of updating their facility in order to better serve the underinsured in the greater Kalamazoo area. The expansion and renovation of Family Health Center's (FHC) space allows them to serve an additional 60,000+ patients annually. 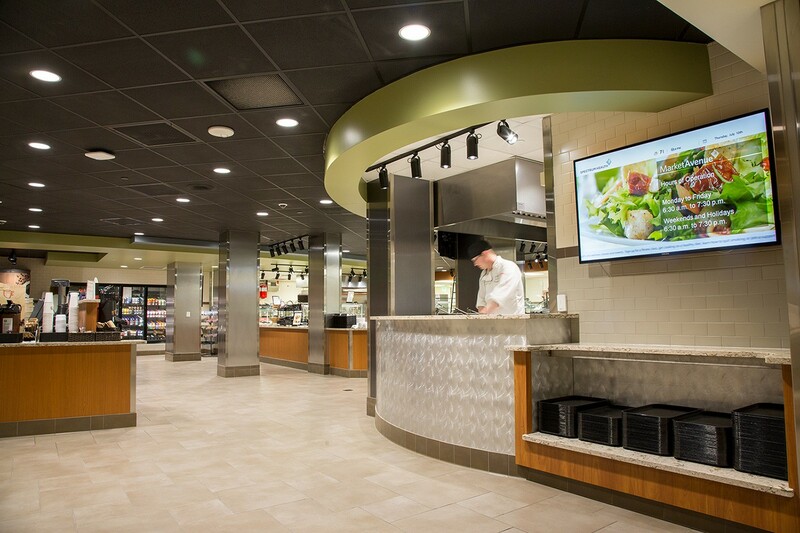 A complete renovation of the existing kitchen and servery was required to support a new “on-demand” meal service program and to accommodate significant growth in meal volumes. TowerPinkster collected data from food service workers, patients, and visitors in order to better understand functionality, operations, and circulation throughout the space. The renovation was carefully phased to minimize disruption of food service to the campus. Oceana County Medical Care Facility provides rehabilitation services as well as Alzheimer’s, dementia and nursing home care for the elderly community. 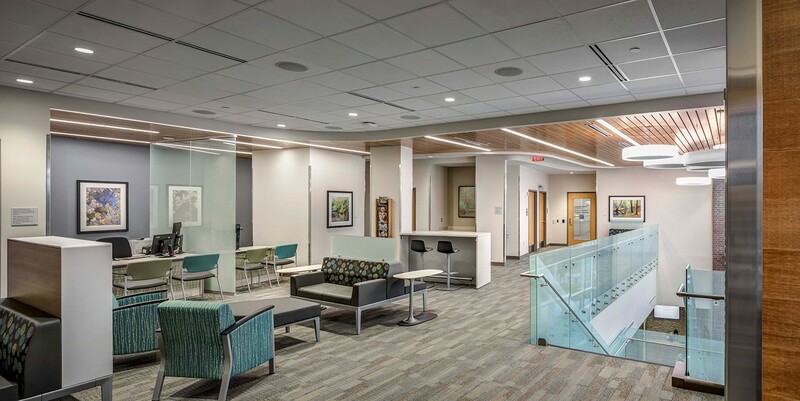 TowerPinkster teamed with Maggie Calkins, a Senior Care Specialist and Kendra Thompson, a local architectural representative, to provide more space for dementia and rehabilitation programs, as well as expanded dining facilities. With the consolidation and rebranding of Women's Services at Spectrum's Butterworth Campus, a new OB Triage space was created on Level A in the center tower. The area is accessed through the Women's Center entrance and serves expectant mothers requiring immediate medical care. Eleven exam rooms and four ultrasound rooms surround a central nurse station which allows patients to be easily monitored at all times. 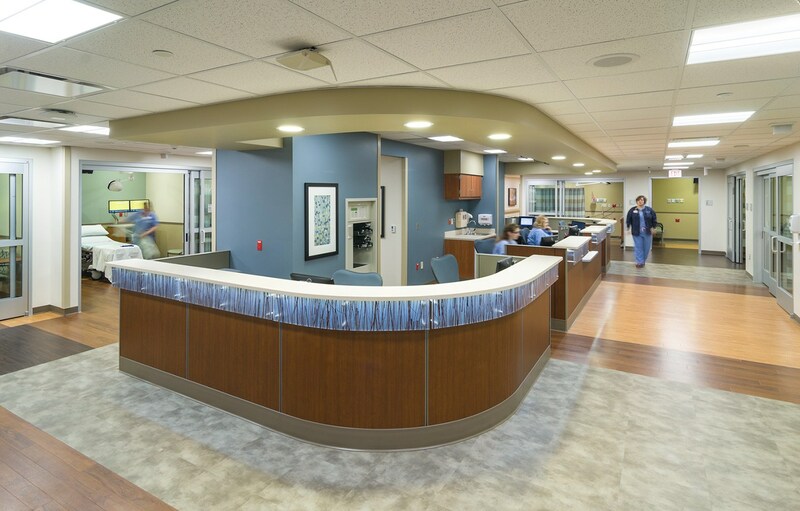 To keep up with the growing demand for outpatient services in Southwest Michigan, Borgess Health, added a new state-of-the-art ambulatory and outpatient care center in Battle Creek. TowerPinkster provided engineering services for the project to create a highly sustainable, energy-efficient building as a new model for 21st-century ambulatory facilities. TowerPinkster worked with White Cloud Family Health Center to develop a new, more efficient medical office building. The facility features medical exam and procedure rooms, women’s health services, dental services, radiology, labs, a retail pharmacy. TowerPinkster used an existing white box space on the sixth floor of the Lemmen-Holton Cancer Pavilion to provide a new suite for the Gynecological Oncology Department. 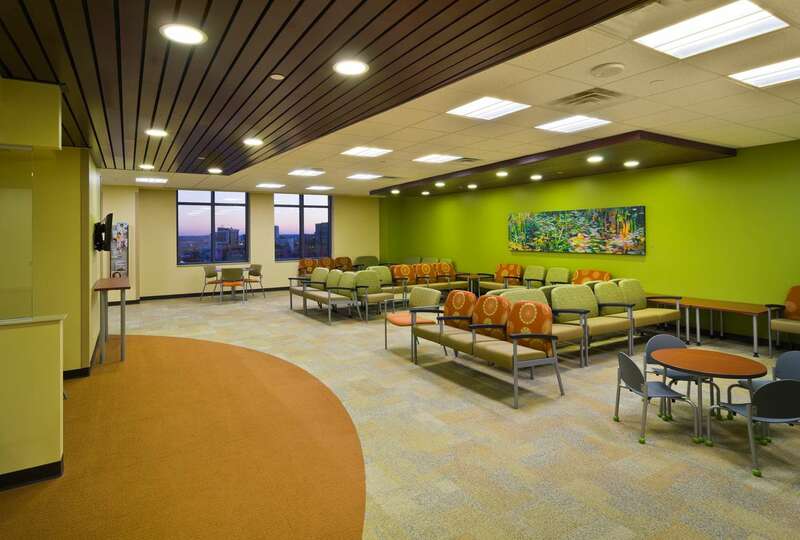 The chemotherapy treatment area was designed to take advantage of the beautiful views of the Butterworth campus and downtown Grand Rapids. In an effort to continue the consolidation of their pediatric clinic services, Spectrum Health decided to move the existing pediatric ophthalmology department into a new suite. 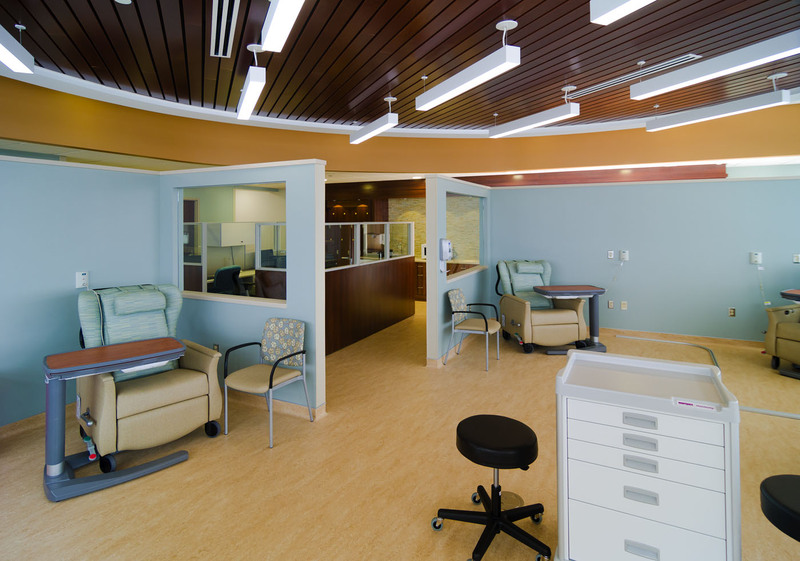 The design provided space within the clinic to perform procedures that had previously taken place at the Helen DeVos Children’s Hospital. All of the new exam rooms were equipped with state of the art eye examination equipment, and a new retail shop for new eyeglasses. TowerPinkster worked closely with the Spectrum Health team to provide a design that met all of the design challenges as well as the Health Department’s desire to accommodate a new mother/baby philosophy. 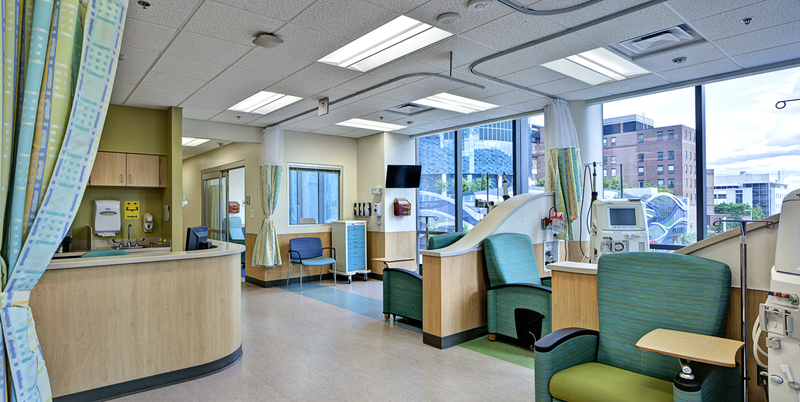 TowerPinkster and NBBJ designed a state-of-the-art emergency department and two new floors of inpatient rooms, allowing Munson Medical Center to serve the rapidly growing community while creating a stronger visual presence for the emergency department on campus. 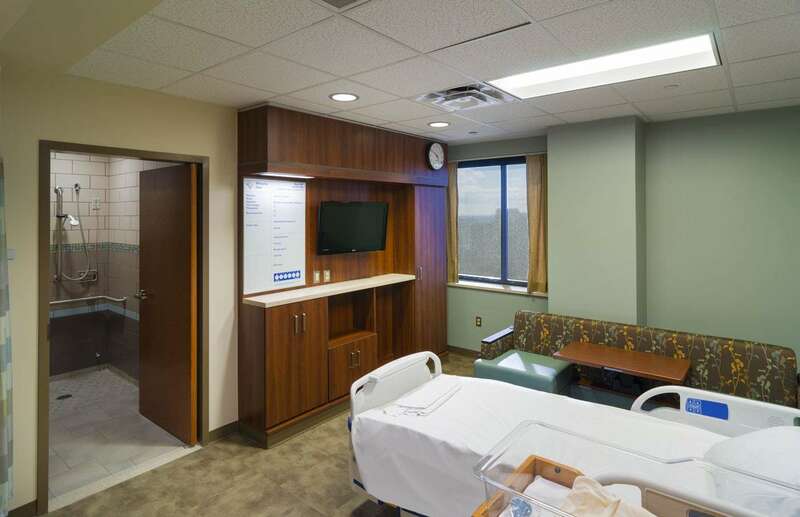 When Spectrum Health needed to relocate their Maternal Fetal Medicine program, TowerPinkster designed a space that would improve the patient and physician experience surrounding maternal-fetal care. With exam rooms grouped in the center of the clinic space and a staff work avenue along the perimeter, doctors and nurses are able to be flexible with their patients. All of the new exam rooms have a live feed of the ultrasound machine transfer back to a central monitoring room where the physicians can monitor more than one patient at a time as the ultrasound technician completes their task. With a growing need for cancer treatment capabilities, TowerPinkster executed a two-phase approach to design a new P.E.T. dock and a simulator room and new branding for the Cancer Center. In addition to the P.E.T. dock and simulator room, renovations included a new front door and major lobby renovation to provide greater visibility on campus and a more comfortable area to welcome patients. 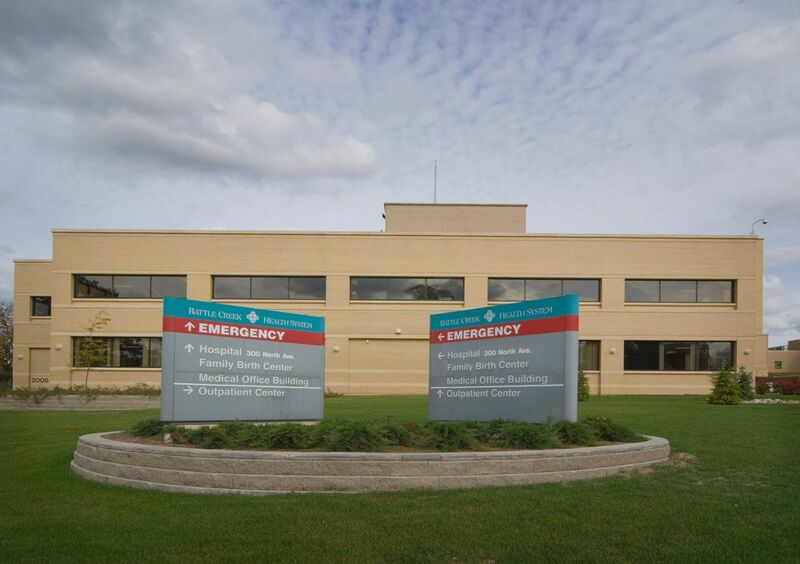 Addressing the need for Urgent Care in the area, Bronson Battle Creek planned to open a new Ambulatory Center off-site of the main hospital campus. 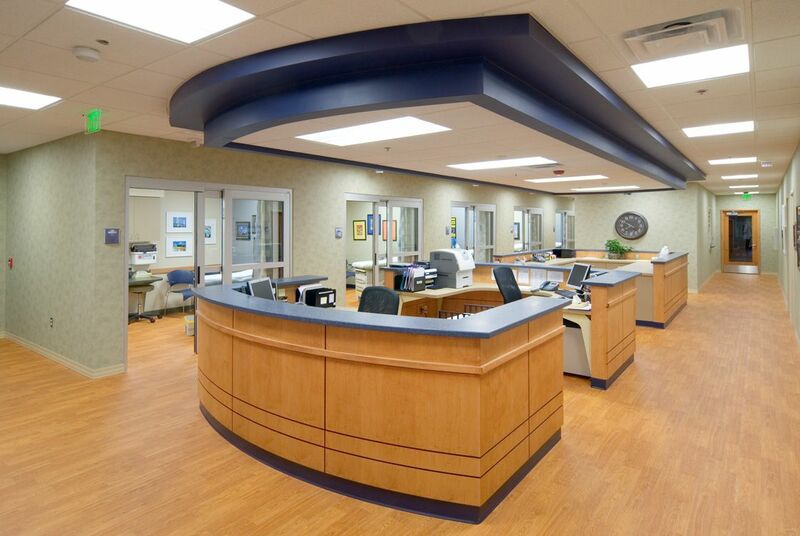 TowerPinkster worked with Bronson Battle Creek to transform an existing retail building into a welcoming urgent care environment focused on patient comfort. 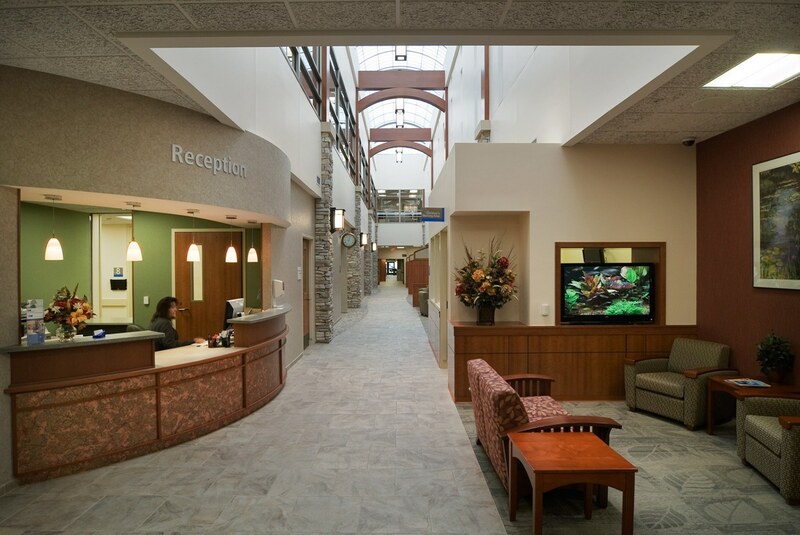 Kalkaska Memorial Health Center (KMHC) was in need of additions and renovations to improve their current outpatient facility. The new two-story addition and renovations combine a larger radiology department into one suite with a large physicians’ clinic. In order to centralize surgery functions, create greater efficiency and respond to physician and patient demand, TowerPinkster designed a new, expanded surgery suite including eight new, state-of-the-art operating rooms.